ORA Singers will be opening its residency with the first of nine concerts over three years in its Design Series. This series is inspired by the flexibility and beauty of LSO St. Luke's main space, the Jerwood Hall, combined with ORA's desire to engage with audiences on a whole range of levels. We will be asking different designers to collaborate with us on each of our new programmes, creating designs that are truly unique, inspired by our musical programmes and the space itself. The first three Design Series concerts will be on the 16th March, 1st June and 19th October 2019. Founded in 2016, ORA Singers' commitment to contemporary music is second to none. At the outset the choir said it would commissioning 100 new works from different composers over 10 years. To date, there have been 36 new works commissioned, each of them also recorded or performed live. As Ora Singers continues to commission, there will be at least one world premiere at each of the LSO St. Luke's concerts. As previously, the new works will sit alongside Renaissance choral masterpieces, showcasing the theory that we are in a second Golden Age of choral composition, matching that of the Renaissance. 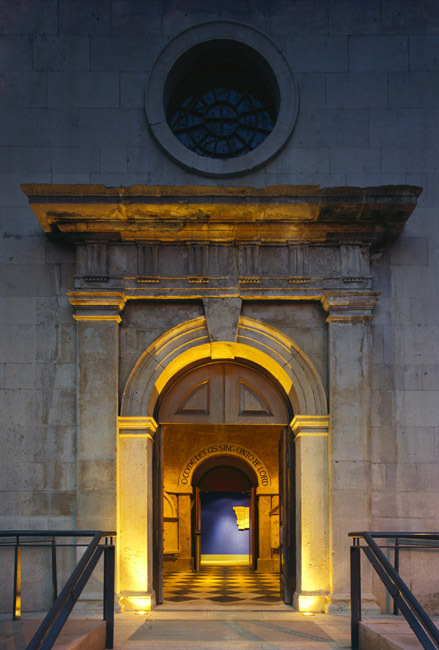 LSO St Luke's is rightly renowned for its work engaging its local community, constantly encouraging people to listen to, and participate in, music-making at the venue. It also reaches out, taking music to those less able to come to events or concerts and making use of the therapeutic benefits of music. ORA Singers is equally committed to engaging with those outside its traditional audience, and to those who are less able to enjoy live music and will be giving 15% of tickets free to local community groups for every concert. We know that there will be plenty of exciting news as our collaboration with the team at LSO St Luke's develops. We are thrilled to be located in the City of London's Culture Mile and we look forward to keeping you updated with all our projects.